You are browsing the archive for Inequality. When you mention the name “Audrey Grevious”, it will most certainly ring a bell among activists and Lexington civil rights advocates alike. While it is a taxing struggle to find many pictures of Grevious, there is much information on her efforts in local schools and protests during her younger years. Grevious was quite active in Lexington, participating in various protests and sit-ins, while being involved with the local NAACP and CORE chapters. She eventually became the president of the Lexington NAACP and worked as a teacher before becoming the principal at the Kentucky Village Reformatory School (now called the Blackburn Correctional Complex) and Maxwell Elementary School. Grevious’s time at the Kentucky Village allowed her to bring about desegregation in the lunch rooms, a landmark moment that nearly echoes a sit-in at a local restaurant in which Grevious continued to persevere while the owner repeatedly swung a chain at her leg. 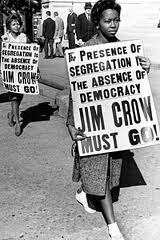 Indeed, Grevious was one of the pivotal leaders during the civil rights era in Lexington, KY, but it is difficult to find pictures from her active years. Grevious is still alive, but much weaker and ill, making it more challenging to get in touch with her. In attempting to find more information, granestrella and I are looking at the transcripts for a couple oral histories. I am also working on getting in contact with Eastern Kentucky University, Kentucky State University, and possibly Dunbar High School (though the existing one is not exactly the same as the one previously attended by Grevious). If we succeed in our quest, we may be able to bring more insight into the life of a dynamic woman underrepresented in the playing field of civil rights. “KET | Living the Story | The Civil Rights Movement in Kentucky.” Glossary, Audrey Grevious. Web. 25 Mar. 2013. “National Association for the Advancement of Colored People.” Wikipedia. Wikimedia Foundation, 02 Jan. 2013. Web. 25 Mar. 2013. “Audrey Grevious.” Wikipedia. Wikimedia Foundation, 02 Jan. 2013. Web. 25 Mar. 2013. In 1896 the Supreme Court ruled in favor of the “separate but equal” doctrine in the Plessy vs. Ferguson trial. Up until the Brown vs. Board of Education ruling in 1954, things in Kentucky and around the United States were anything but separate and definitely not equal. There were the obvious examples of the inequality that occurred in Kentucky. As Suzy Post describes it in her interview, there were white and black water fountains and white and black waiting rooms that no one really took notice to. To those living in Kentucky, this was the norm, an everyday thing. However, where the inequality mixes with there being no separation comes in the terms of the help; the maids that worked to help the white women around the house. It is in these jobs that it is seen that nothing about Kentucky in the early 20th century was separate or equal. 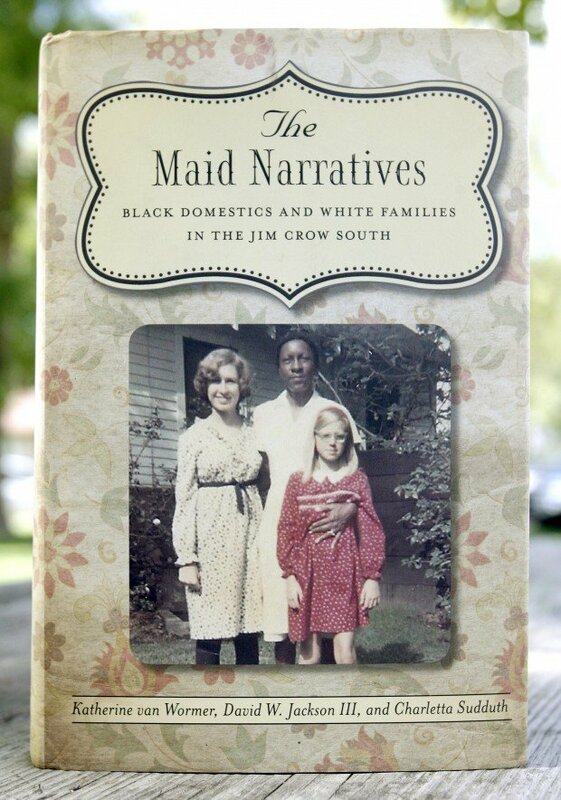 The Maid Narratives is a book written specifically about the black women that helped around the white houses. It tells the story of these women and the things that they had experienced throughout the years; the story of a society that was completely unequal and rarely separated. In fact, in the introduction of the book the authors talk about the paradoxes seen in this time period. 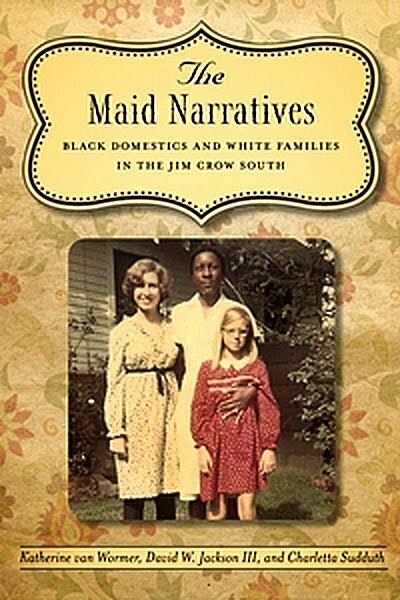 “Small white children sometimes felt closer to their black caretakers than they did to their mothers, a love that often was not acknowledged by others… Black women servants were sometimes treated like children by the ‘lady of the house,’ but during tough times the white women looked to them for strength and comfort” (Maid). of the Civil Rights Movement in Kentucky”, white men and women reveal that these statements are true. Governor Edward Breathitt and Judge James F. Gordon talk about having “black help” in their homes. However, rather than this being a distant relationship, they describe it as one that was quite intimate. They always saw the women who helped their mothers out and became quite fond of them. They both recount memories of playing with these women’s children and saying that during their youth these little black boys were their closest friends. In their youth, there was no separation; color didn’t matter to the children. However, as they grew from children to young adults, the separation began to occur. They stopped talking to each other outside of the games that they played, the black women stopped bringing over their children to play, and eventually the white teenagers were referred to as Mr. and Ms. Before this age, the “help” had no problem with bringing their children over to play, but as their children grew so did the inequality. Although Plessy vs. Ferguson ruled that society should be separate but equal, this was far from the reality of life in Kentucky. The black women that helped out in the white homes were often times more of a mother to the white children than the white women were. however, they were treated with little to no respect from these women expect in times of great need. It is in this part of civilization that the greatest divergence from this ruling is seen because not only is it unequal but it is far from being separated. “The Maid Narratives:.” Google Books. N.p., n.d. Web. 04 Feb. 2013. “Plessy v. Ferguson.” Wikipedia. Wikimedia Foundation, 31 Jan. 2013. Web. 04 Feb. 2013. “Civil Rights Movement in Kentucky.” Civil Rights Movement in Kentucky. N.p., n.d. Web. 04 Feb. 2013. “Greater New Orleans.” The Times-Picayune. N.p., n.d. Web. 04 Feb. 2013. “Freedom on the Border – An Oral History of the Civil Rights Movement in Kentucky.” Kobo. N.p., n.d. Web. 04 Feb. 2013. Just this year, on March 16, Dr. Grace Marilynn James was inducted into the Kentucky Women Remembered Exhibit in Frankfort, an honor given to outstanding women in Kentucky history by the Kentucky Commission on Women. 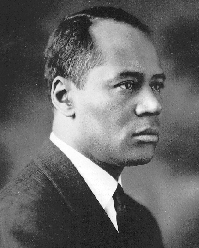 While relatively unknown to many, Dr. James was an important figure in the struggle against both racial and economic injustice. James moved to Louisville in 1953, where she began teaching at the University of Louisville in a non-paying, part-time post; she was the first African American woman on the faculty at Louisville’s School of Medicine, and she continued teaching at the university for twenty-five years. (2) When James moved to Louisville, the city hospitals were segregated by law. Although James became the first African American woman to be granted membership in the Jefferson County Medical Society, she still had to defend her status to the medical community. 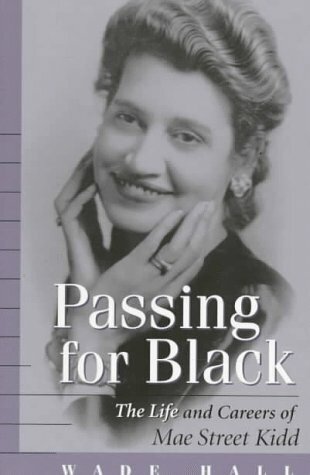 (3) Not only did she face discrimination from white practitioners because she was black, she was criticized by both white and black men for being a woman in this field and for choosing to serve the poorest clients. James realized that there were many people other doctors were hesitant to serve because they were too poor to afford services. James also saw that many doctors would not serve single mothers and their children.